The mission of the Department of Criminology and Criminal Justice is to develop and disseminate knowledge about crime, criminal justice, deviance, and social organization through research, teaching, and service to the community. 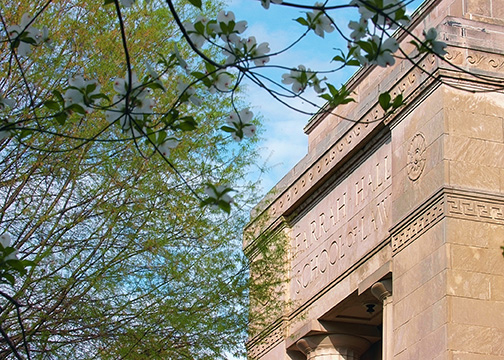 Grounded in the social sciences and governed by the College of Arts and Sciences of The University of Alabama, the department respects liberal values, encourages open-mindedness, and pursues in its programs both demographic and curricular diversity. At the undergraduate level, the department’s mission is to equip students to think critically about the causes and consequences of crime and deviance; about evolving issues in the field of criminal justice; about the potential of empirical research to help guide policy development; and about the role social organization plays in the development of knowledge. Students are introduced to both established and contemporary theory, to research skills, and to the requirements of practice in the field. It is the department’s mission to properly prepare students to join the ranks of professionals working for the criminal justice system or in the social services. In addition, it is the mission of the department to prepare those who plan to obtain advanced degrees to gain admission to prominent social science and professional graduate programs around the country. Concerning students at the master’s level, the department’s mission is development of research skills and the expansion of conceptual and practical knowledge critical to fulfillment of leadership roles in criminal justice or in the social services. Master’s degree students planning to proceed to PhD programs can expect from the department thorough training in the theories, methodologies, and empirical findings that promote understanding of deviance, crime, criminal justice, and social organization.